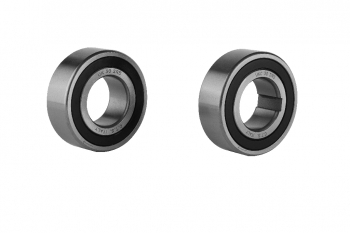 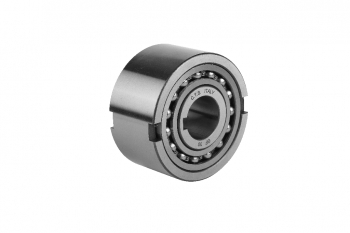 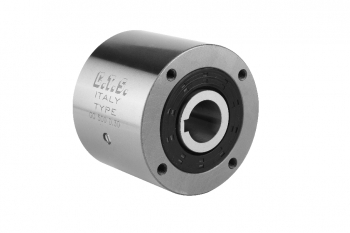 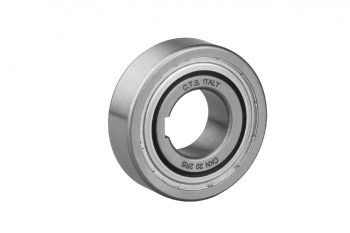 The GF Series (sizes 8.20) and GV Series are bushed; the GF Series (sizes 25.60) have ball bearings. 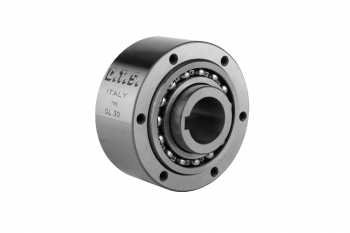 The GF Series are used as intermittent feed, non-return and overspeed units mainly inside closed guards. 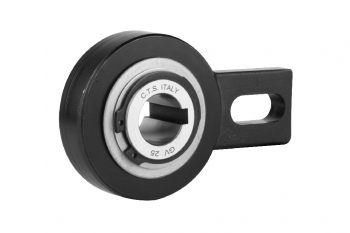 To lubricate this range of freewheels, a pre-existing oil circulation may be sufficient, provided the type of oil used is one of those we recommend for cylindrical element contact units. 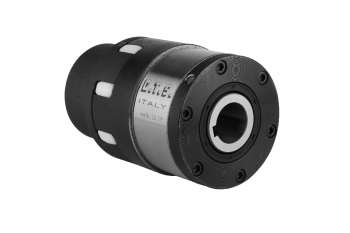 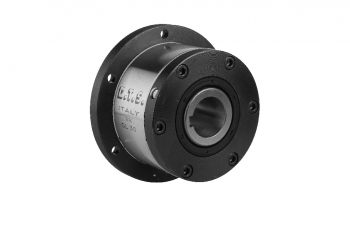 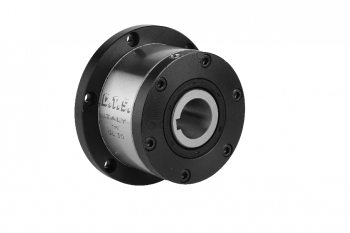 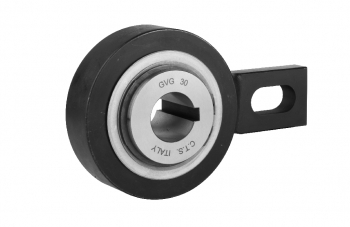 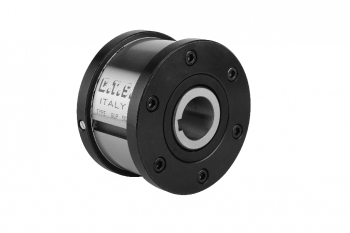 The GV Series are used for return or intermittent feed applications and are located outside guards on drive shafts where the transmission torque is provided by the lever welded on the outer race. 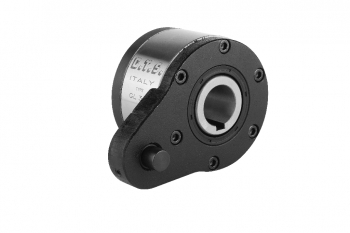 These types are supplied greased-for-life and with gasket.